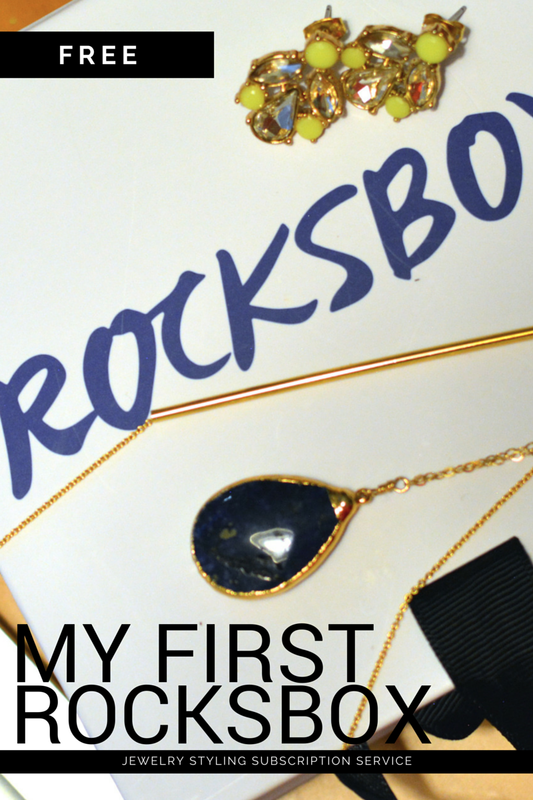 I went from meh to yay about my invitation to check out Rocksbox. It's a membership-based jewelry styling service works. You take a style survey and add items to a jewelry wish list. Each piece is hand-selected for you based on your style and specific requests. 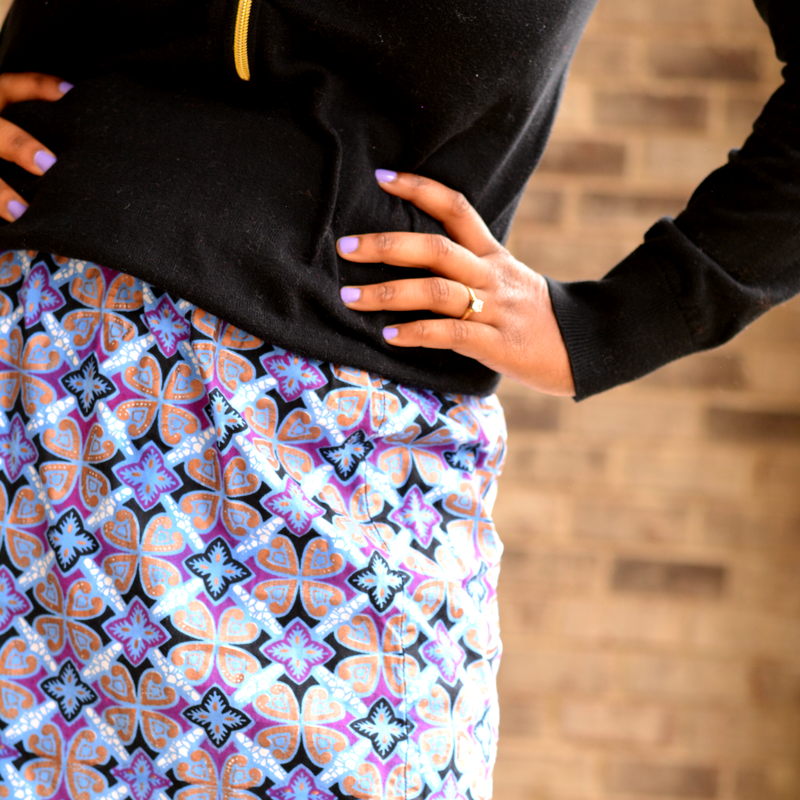 Then, you wear your pieces as much as you want, return them when you're done and get a whole new set in the mail. My first reaction was I don't get it. I don't get to keep anything for $19 a month (after the complimentary service)? Then I thought about my proclivity to fickleness. Yes, Rocksbox is exactly what I need in my life. I get tired of wearing the same thing all the time. I like to mix it up often so wearing a few times then returning is so right for me. Plus, it's a constant supply. I hardly ever buy jewelry. I'll whine about not having any but never go buy any. Kinda like new bras..anyway. My first box arrived beautifully packaged and I was super excited to see the goodies inside. Only one of the pieces gave my heart a little pitter patter -- the earrings. They remind of vintage plus there were highlighter yellow details. It was one of the items on my wish list. So yes, they're cool. There were also 2 necklaces that didn't really speak to me but were within the bounds of the style survey I took. I tried both of them. I was more attracted to the Gorjana Bali Tube Necklace so I've been wearing that one more than the Robyn Rhodes Sam Necklace (the stone). I've learned something new about myself. Delicate jewelry does not work for me or at least for my neck. Maybe it's the gold mixing with the undertones of my skin but it just seems to disappear. It doesn't really add anything to my outfits either. Both were on long chains that don't sit in a space that stands out on my chest. The price for these 3 pieces retail are over $200 which is another reason why I'm liking that $19 month more than my first reaction. The quality is decent. It's not Forever 21 quality but it's not Henri Bendel either. The Perry Street Gwen Crystal Earrings being my favorite didn't have as much sparkle as my $3 aurora borealis vintage pieces and I was looking for that specifically. I also thought the chains on both of the necklaces were too thin in addition to being too long. I was afraid V would reach out for me and break them with every wear. Despite my lackluster experience, I'm looking forward to the next Rocksbox. It is the first time. I'm submitting feedback on this set and I've seen some very pretty pieces floating around on Instagram so I'm beefing up my wish list too. That's another awesome perk to the subscription. If you connect your Instagram to your Rocksbox profile and see something you want in their Instagram feed, you can comment #wishlist and it will be added to your profile. Stay tuned. I'll be sure to report back on next round of "rocks"! Have you tried Rocksbox? Would you like too? Use code "thriftanistainthecityxoxo" and you'll get a month of free service. After March 18th, the code turns into 50% off so claim yours now!